Birdy is creating moments through a pencil.
" Well versed and mostly self-taught in the traditional medium, it is on any given canvas that he sets out to create with conventionally unconventional methods. " Hi, I'm known as Birdy. I'm a Filipino-Born Canadian creative with a Bachelor's in Fine Arts for Painting. The art you will mainly see from me are ideas taken from my childhood & the anime/cartoon and video game culture. The drawings that I make offer both an homage to my biggest influences growing up to this day and exude a breathe of fresh air in their satire. Although I love the authenticity of a pencil sketch, I do not limit myself to just the traditional fine arts. You will see everything from pencil to pixel, from digital to video and maybe even to the musical. x Digital Subscriptions include High-Def Computer & Phone Wallpapers, HD Scans and more! x Inked Pages for your own coloring fix! 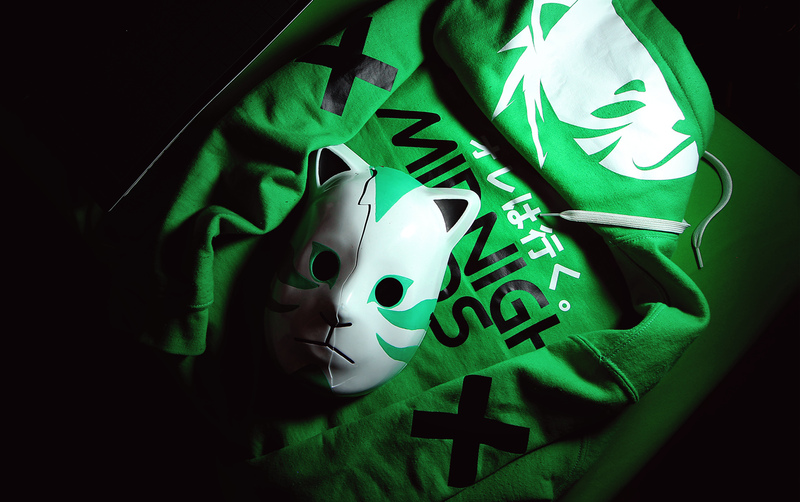 x Higher Tiers get exclusive access to NEW Brand Merch Apparel, accessories & even Custom Art! VLOGS, HOW-TO’s, Do-it-yourselfs, Merchandising, Advertising and a hella ton more things to look forward too that you won't find anywhere else! First and for most, my main purpose for creating this Patreon is to share my personal knowledge in my craft in hopes to help other’s better their own practice. You will learn How to Invent and Create yourself in a new manner if all you need is guidance. You will learn how to get away with a lot in the art world with as little to no resources, which means making use with what you have in your possession. Here you will learn personal art tool techniques, how to reference, anatomy for characters, coloring & hatching and a lot more. 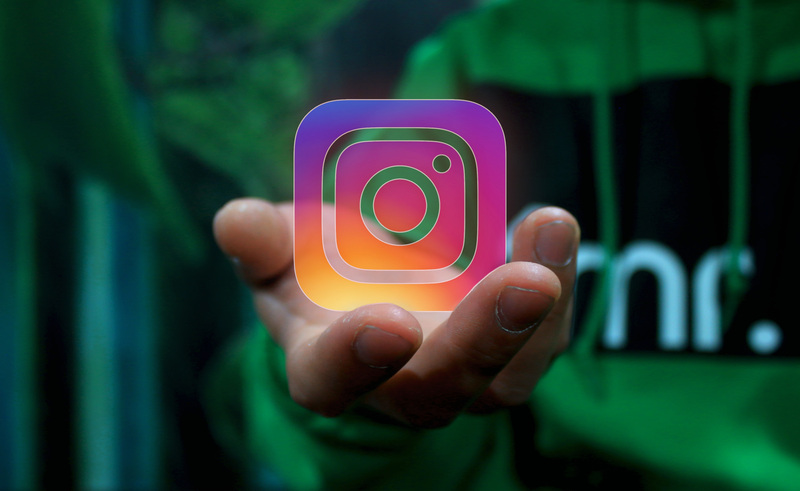 I will also teach you how to take your Instagram posts to the next level, where you can utilize social media through VLOGS, HOW-TO’s, Do-it-yourselfs, Merchandising, and online Advertising. At the end of the day, you do NOT need expensive material to create sentimental richness through what you create. You simply just have to create. This Patreon will be a source of inspiration to draw from, literally. I will do my best to help you develop your own styles through repetition. The knowledge that I will offer here is all that I have come to cultivate through my years of experience in my own art practice . From absorbing as much as I possibly could during my years in art college from picking to tending artist alley booths at conventions and running my own clothing line. Art should never be rushed, unless it’s main purpose is to elaborate on the idea of speed. Here, we will take things easy and just be making what we want when we want too, of course with the obligation to fulfill each monthly Patreon Tier package with exclusive quality content. I will teach you how to look at every stage of the process as an art form. The more you fall in love with the process, the easier it becomes to motivate yourself to complete pieces on a consistent basis. And you'll be looking forward to the next project after. 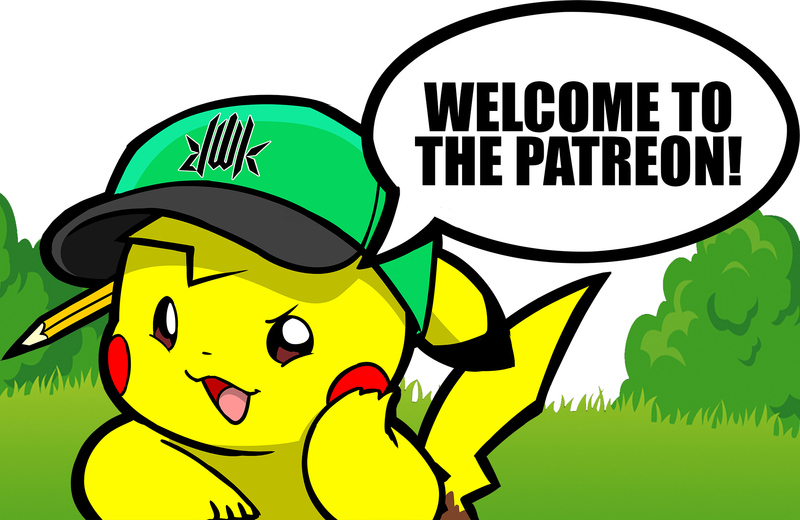 This Patreon is my chance to create an even closer community around my art. Having this patreon will allow me to interact with those who are willing to learn even more directly than on any other platform. It shortens the distance between you and your mentors. I've always wanted to create my own manga. 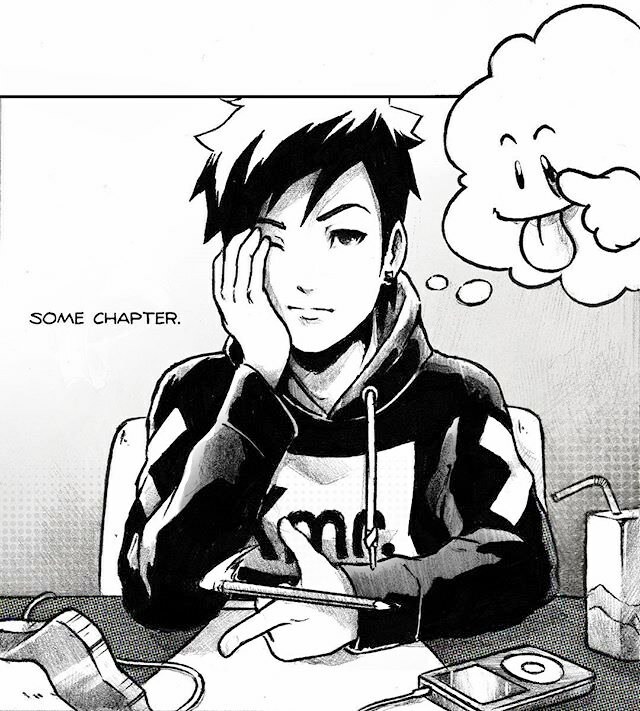 I've had countless ideas on story lines and characters, and many MANY pages of rough sketches and complete world designs, but there is one world I have been working on in particular that I would like to elaborate on and ultimately build a manga around. The only thing is I have not released all that much info on it other than few sketch works here and there. So here is a small premise, the story follows a girl named Jun and her frog stuffy Dusky who eventually becomes her protective "shadow". The two who end up in this upside down fantasy realm where coincidentally everything is mirrored and skewed. She meets companions, breeds enemies and gets lost and found in an insanely detailed world. Certain Milestone goals will unlock parts of the story, but will make sure I have an obligation to carry out progress on the foundation of the story. If I reach 250 Patrons, I plan on creating and releasing a 1 minute Anime teaser trailer which I already have story boards for. I've been throwing around ideas for several years, and have had it in the back-burner for all along. It’s ready to take it to the next level. Before I made the decision to create this Patreon page, I wanted to make sure I understood what it meant to be completely available and transparent with my practice. I wanted to be sure I was committed to running a Patreon service that did not only meet my supporter's expectations, but one that paved paths for new creatives who have an idea but ultimately needed a push. Let’s create your empire today. Patrons will have visual access to HQ scans of whatever sketch illustrations have been drawn throughout the present term. There are no downloadable files in Level 1. Just pure visual inspiration and representation of the world I surround myself with and of course a small gesture towards supporting the artist =). ⚿ Get First dibs on everything art related I am delving into! A Many Thousand Thank Yous! You are ready to take your craft to the next level. Patrons will have access to large HQ Digital Files of the sketch as well as the finalized illustrations that have been drawn throughout the Month Term. Inked pages for you to print for yourself at home and try. You will also have access to general tips, and pages of drawing tutorials (2-3 a month) for you to download and learn from. This tier is the best bang for your buck. ⚿ Full Size Refined Images (HD) > Computer & Phone Backgrounds, etc.. Finally some multimedia! You get access to process videos that are unlisted on my YouTube and also are shipped decals monthly. The media are not limited to videos, could be download music files or even trailer/video teasers. ⚿ PSD file with all the layers for you to study. 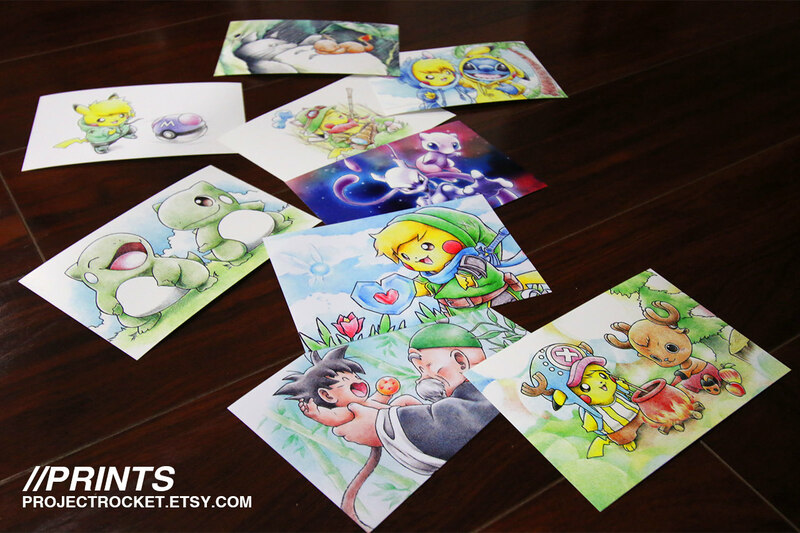 All prints are on glossy photo paper unless matte compliments the art. Physical items such as accessories and prints are sent out closer to the end of the month, and can take up to 2 weeks through mail process depending on destination. All I need is the motivation to sit myself down for a good month, to organize my sketchbook and to refine the story line. Consider this a push for every day of the given month that will help pay for my morning coffee before the start of a work sesh. Let's work towards the completion of 'Bone Klaun Crisis'. 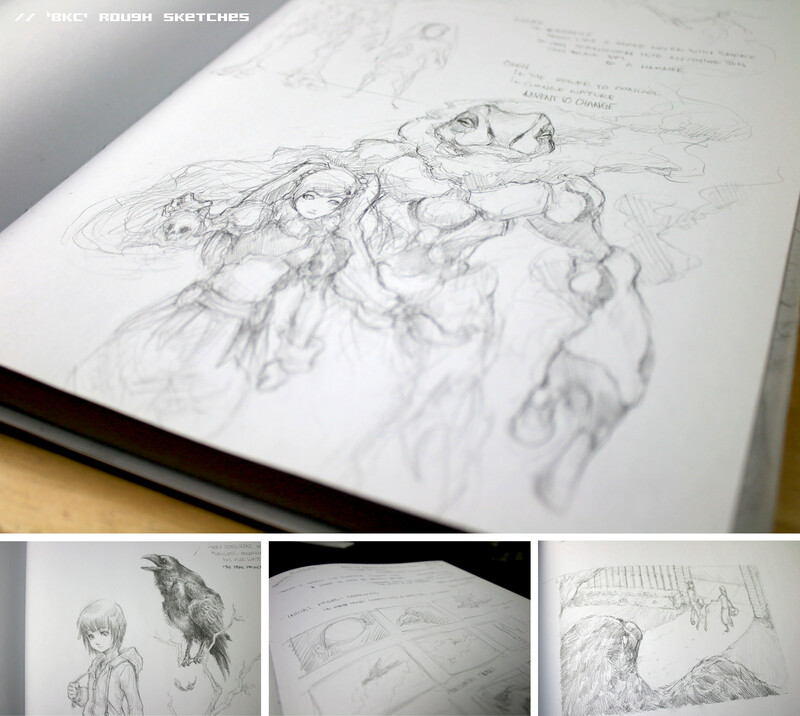 Until I reach the first Goal, I will be releasing pages here and there of the 'BKC' sketch book.